Send flowers to Lucknow but make sure that you take a look at what it means first because flowers have a wonderful language of their own. We do not think there would be anyone in the world who would not like flowers or someone who might not admire the beauty of the flowers. Flowers are one of the most beautiful and innocent creations of God. Something that brings happiness and peace to the mind and soul. Flowers are given and accepted as a wonderful and thoughtful gift the world over. No other gift can match the versatility of a single flower, which can express joy, gratitude, romance, sympathy, or an apology for that matter! La Needs is the messenger for flowers delivery in Lucknow, thus adding more smiles to your near and dear ones’. Flowers are the most wonderful gift but only if these are given with a thought in mind. Thought with the occasion in mind, thought about the culture of the person receiving them. La Needs believes that gifting flowers is okay but gift of flowers should be given with the recipient in mind. We make sure that the message of the flowers; the number and the way they are presented are in an appropriate manner and are a best fit for the recipient. A gift loses its worth if it is not appreciated. So try delivering flowers online throughLa Needsand see the best get delivered on the occasion.La Needs has developed expertise in flowers delivery and you can choose La Needs for best birthday cake and flowers delivery in lucknow. 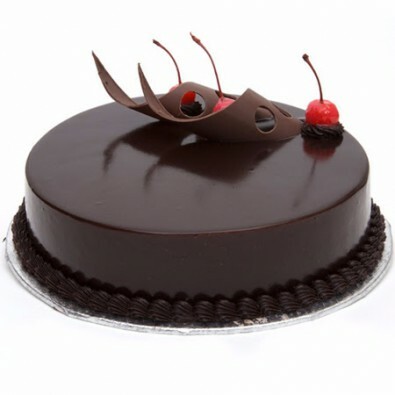 La Needs offers cake delivery in Lucknow with the variety of cakes in offering as well. 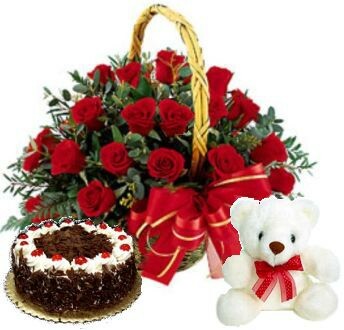 It offers you same day delivery or midnight delivery of cake and flowers in Lucknow. 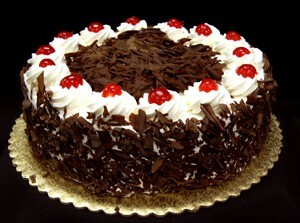 If you are looking for cake without egg, La Needs also offers eggless cake delivery in Lucknow. 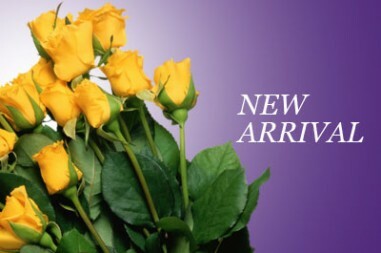 Sending flowers to your mom, your significant other, a friend, or a colleague; shop from our online garden of tastefully arranged fresh flowers that suit your occasion. Bright fresh flowers can become a perfect gift for flowers delivery in Lucknow. Flowers do have a huge variety and colors, but the most important and unique quality is its everlasting fragrance that can spread miles away and carry your love along with them for the recipient. Occasions are just a reason to send gifts but the ever growing love can only be expressed through special ways like sending a huge bouquet of various kinds of flowers. From the gorgeous arrangement of elegant flowers for Anniversary, Mother’s day, Father’s Day to the simple and serene yellow roses for our friends. From the sympathetic get well soon flowers to the most dazzling red delight for your perfect Valentine, La Needs has a range of right flowers perfectly assorted for your occasion to illustrate the recipient how much your care for them. Birthday flowers, Anniversary flowers, Best Wishes, Greetings, Warm wishes, Teacher’s Day, Mother’s Day, Father’s Day or Valentine Day, Lhas all the type of floral arrangement. So bring the garden indoors! 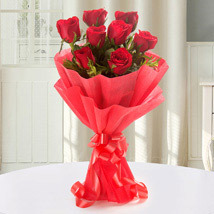 Looking for best flowers delivery in Lucknow at Midnight???? Ting Tong! The door bell rings. And a friendly voice comes from La Needs telling your near and dear ones that there is a surprise flower delivery from La Needs. They smile, they are delighted and most importantly they are surprised to see a beautiful arrangement of fresh colorful flowers. Making people smile at midnight with our online flower delivery is one of our best accomplishments. Along with flowers we also have midnight cake delivery in Lucknow.This is what has been the driving run that we have been able to expand to the remotest city of India at such a high pace. Also summing up so much passion and devotion into the three letters might just not do justice to your love. So if you really want to tell your valentine that you love them, till the end of the time tell them in more than one way. 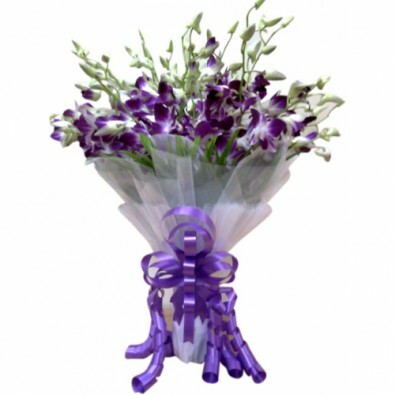 Make sure you choose the right kind of flowers to send the message and trust us we would be deliver it on time. What could start as you know a small thought in mind; could end up for someone as feeling loved, appreciated and most important feeling remembered. We all feel happy and content when our near and dear ones congratulate us and send best wishes to us when we have achieved something in life. Apart from that it also boosts our confidence and motivates us to reach and achieve bigger milestones in life. La Needs knows how important this is and thus has arranged a variety of colorful and fresh floral cuts on its website. Colorful arrangement of gerberas, mixed roses, Orchids, Lilies and many more you will be delighted to see the lavish flowers along with their sweet fragrance that will send thousands of emotions and regards to your loved ones. So order a bunch to astonish your loved ones and cherish the moment of celebration. We know that the most concerning thought that comes to anyone’s mind is how will be the quality of bouquet? Will it be of best quality? Will the bouquet be fresh? Will it look the same as it was displayed while ordering? And maybe many more. 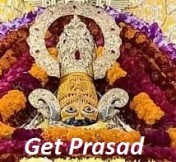 Let your thoughts rest aside in peace as La Needs has come up with delivering fresh flowers ordered online in Lucknow. Our team of experts will hand gather, assort and pack the best floral arrangement for you. Also we use various color papers, ribbons or vase to make the floral arrangement look its best. So hurry up and send your best wishes by ordering online flowers in Lucknow and never underestimate the power of these fragile, fragrant creations of Nature to bring happiness, ignite romance, signal silent empathy or an apology! Well we all desire and strive our whole life to keep our dear friends and family happy and can spend millions for that million dollar smile on their face. It’s too hard to stay away from your home especially during festive seasons and family celebration. The get together and the special food items prepared. Each and every thing has its own importance which is realized once we are far away from our home and family members. And this is what the beauty of love is!! We tend to come more close to our people while we are away from them. Rejuvenate the old love and memories of your loved ones and make them feel more counted by ordering online flowers in Lucknow at their doorstep. Nothing can bring more happiness than ordering online flowers for your loved ones when they are not even expecting it. Hence La Needs provides you an option to choose a specific time to deliver the flowers and gifts for the recipient. You can opt for a specific time and we assure to deliver your bunch of delight on the right place and right time. This is not just our mission. This is how we see the world at La Needs. Compliment your loved ones in style and best designed flowers. We are proud to deliver you finest flowers of paramount quality at your door step. For example our flowers are arranged in perfect order by our experts with some green lush to add to the beauty of the floral assortment. We also assure that the flowers are carefully handpicked with best of their fragrances. We deliver the floral arrangement in the best contemporary florist tradition such that the recipient will be mesmerized to hold your beloved gift of fresh flowers. Apart from flowers you can always complement your gift with other gift items like a sweet wrap of bunch of chocolates, or a soft gush of teddy bear. You can also choose from a wide range of greeting cards that will perfectly convey your emotions. Greeting cards are available for all kind of occasions like Birthday, Anniversary, Best Wishes, Teacher’s Day, Mother’s Day, Father’s Day or Valentine Day. We also give you the privilege to send personalized message along with flowers. Last but not the least you can couple the bouquet with a delicious and heart melting soft cake. All these gift options are available at very affordable prices which will not hamper your budget and instead make you excited for grabbing these gifts at a pocket friendly price. Hence we have all the reasons why you should choose La Needs over any other online gift stores. How do I contact La Needs in regard to my order for flower? Gone are the days when contacting someone who was miles away was next to impossible. La Needs has developed a wide range of network and created its presence in almost all the cities in India in less in 5 years. We are available both online and offline in Lucknow. We have developed our presence in almost all the renowned places of Lucknow, covering almost all of the Urban Lucknow like A P sabha , Arjunganj, Amberganj, Adarsh Nagar, H E school, Nadwa, 32 Bn. pac, Amausi Ad, Gomtinagar, Manaknagar, C E school, Aminabad Park, D M road, Basha, Aliganj, Manasnagar, Kalyanpur, Batha Sabauli, D M road, Telibagh and many more areas. We assure you of timely delivery of fresh flowers at your doorstep on same day or at Midnight in Lucknow. Hence making sudden plans of birthday surprise or making the occasion more loving and exciting is now only a few clicks away from you. We value your trust you have on us and hence we have a very safe and secured payment gateway to make your transactions while placing the online order for flowers in Lucknow. 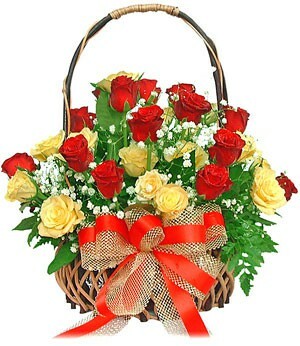 Now in Lucknow, You can order online flowers in Lucknow and they can be delivered at your home. Why online flowers delivery at your home in Lucknow through La Needs or any other portal? This have many reason for every person life first of all everyone live life in a busy way and they don't have time to go to market and buy flowers or bouquets of flowers by shop. Second one thing is here that if flowers and bouquets are available online at a good price compare to market then why we go to the market to take flowers. In present time everyone live life in a fast forward manner and expecting to get everything in a fast forward manner in them hand. So because of this E-commerce market spread has occurred in a huge level compare to traditional market in your cities. Everything is on web stores from which you can make choice according to you and important thing is that you can choose right things by sitting at your home. 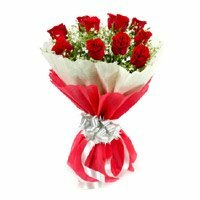 With La Needs we add a step to this by Flowers delivery online in Lucknow for people to making their life easy and comfortable. Beside it Lucknow growing up in IT sector and people are crazy for online shopping that's why online flowers delivery in Lucknow is another reason by La Needs to provide home delivery of bouquet in Lucknow city. 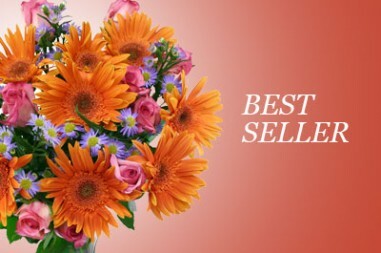 Send lots of happiness at your dear one's door step by gifting flowers to them : One more reason for prefer La Needs for your flowers bouquet home delivery in Lucknow on La Needs online store there are some unique things compare to other online store. First is that you can choose your time to deliver to your gifts, cakes, flowers and every gifts. Time choosing is an important factor behalf on the customer side. Suppose you send online flowers to your buddy by at that time there is other person available to pick up this bunch of flower than your all plan and surprising way to give gift has been gone. Then for solution of this problem we add one more option during the time of placing your order that is time choosing option for our customer. By using this you can select your time of delivery of your gift to that particular person and make it surprise for him/her by online delivery of flowers in Lucknow city. 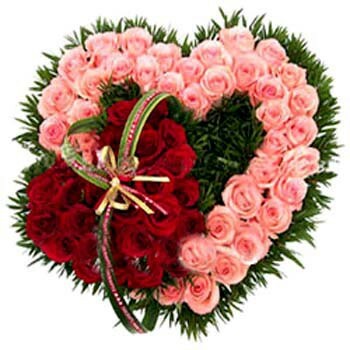 Want best and most economical flowers delivery in Lucknow at Midnight???? Another important factor is that La Needs do midnight delivery of your items and is most economical (Lowest price flowers). Midnight delivery of flowers makes surprise your occasion and you can have a lot of fun and uniqueness on your occasion. Just imagine if your lover get a bunch of red roses on her birthday than how much she will be feel happy and awesome by your midnight delivery of red roses. 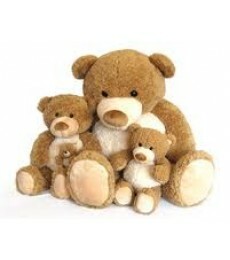 If you want to give surprise to your best buddy or your girlfriend/Boyfriend then this is the best portal for gifting. Because of its midnight flowers delivery option services. You can give surprise and can celebrate your birthday party or other occasion in a unique manner and can make your party memorable with your friends by using midnight delivery of flowers in Lucknow city for yours close one relation. One of famous online store is La Needs which is famous for cakes, flowers, bouquets, gifting cards, handicrafts and many more gifts related to your happy occasion at your home. You can order online flowers in Lucknow and cakes for your best buddy your girlfriend your parents and your relatives. In La Needs there are thousands of choice according to your occasion like, birthday party, anniversary party, marriage party, valentine day, mother day, father day, teacher's day and many happier occasions. We provide home delivery of cakes, flowers and all the things mention above within a good price compare to other online portals and market place. 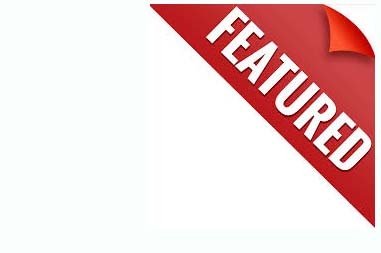 La Needs provide capture the moment special for birthday, anniversary, marriage party so if you want to celebrate your occasion in a unique and memorable manner than just put La Needs by your finger in your browser and have a lot of fun with your friends and close relation.